Christophe a French student left us his testimonial. he was a student for 16 weeks. I have chosen this school because EC London has a department dedicated to adults aged 30 years and over. Which is great! It’s really easy and fast to go to London from Paris. London is a lovely beautiful city which offers something for everybody: parks, museums, shopping, pubs, nightclubs, theatres… and EC 30+ 😊. The list is large! Obviously, I like the 30+ side and the Breakfast Club, the free lessons which are very interesting and useful and the Dinner Club! My most unforgettable memory of EC is my Intensive Class with Frits. He is an amazing teacher. Of course, I would recommend this school because teacher are competent, motivated and all staff fuss over students. Camden and Shoreditch are my favourite places to hang out in the evening. Parks and museums are a good idea! 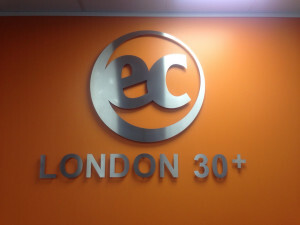 If you want to experience EC London 30+ and our English lessons for adults, visit our website.